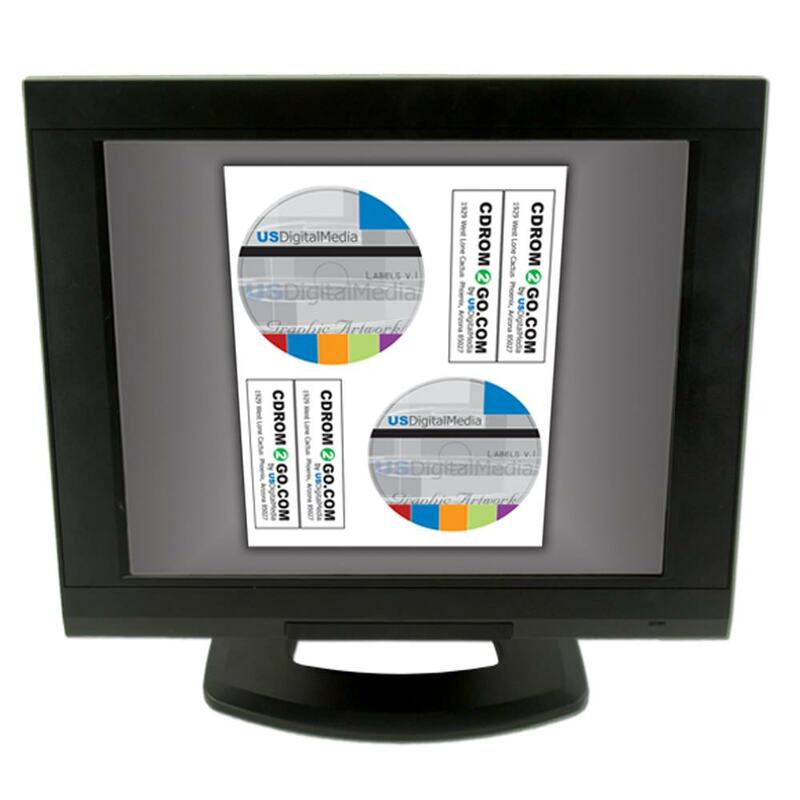 Increase your print area with custom CD labels by USDM that are created with a 22mm center hole diameter. 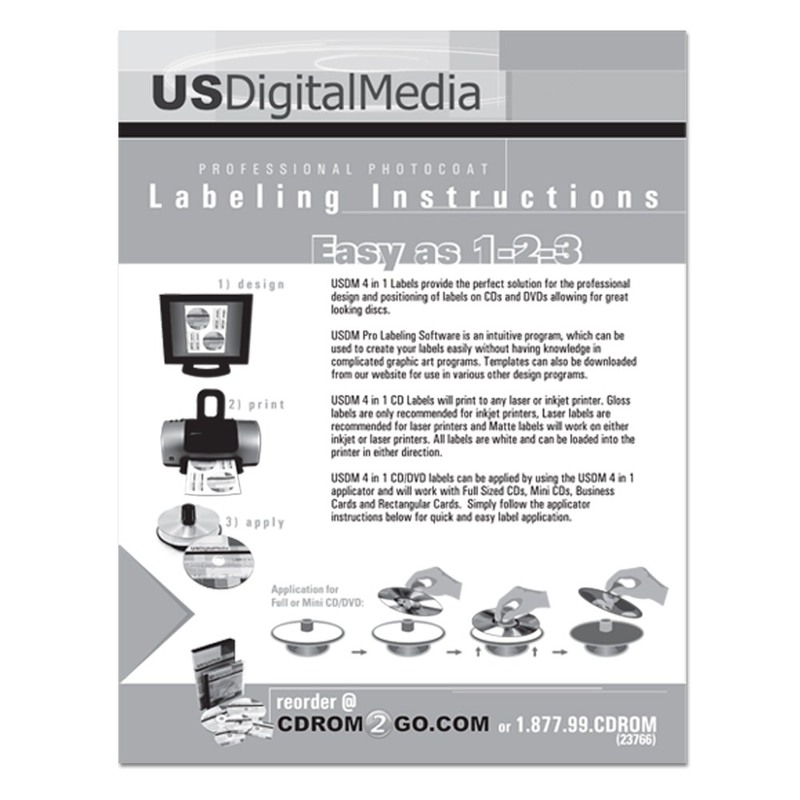 These adhesive labels use a 4-in-1 applicator that transforms to fit the disc’s shape. 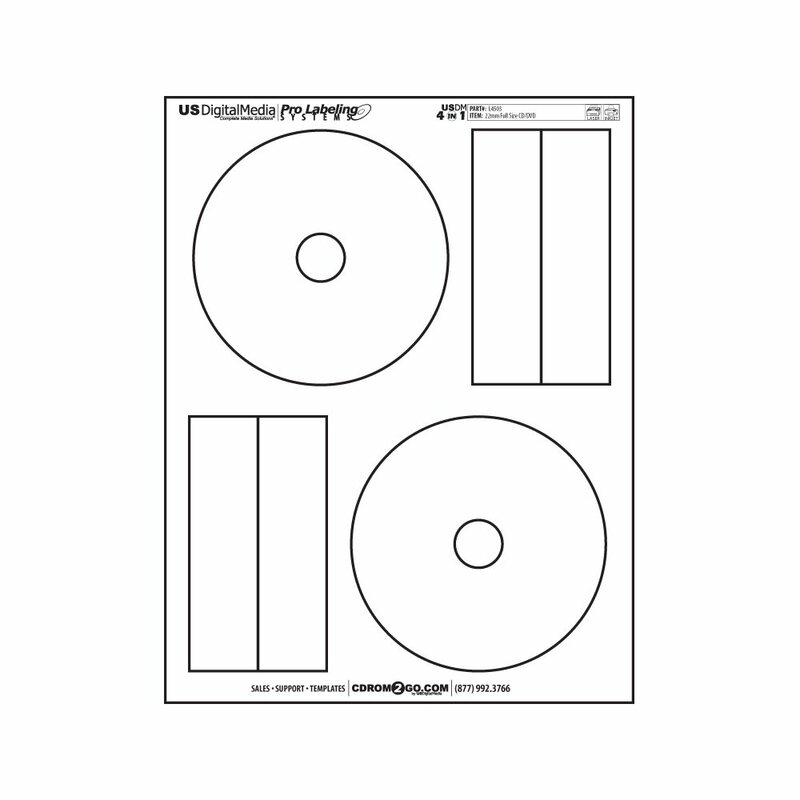 This style is for full size discs and comes in paper finishes such as laser gloss, inkjet gloss, and inkjet or laser matte. 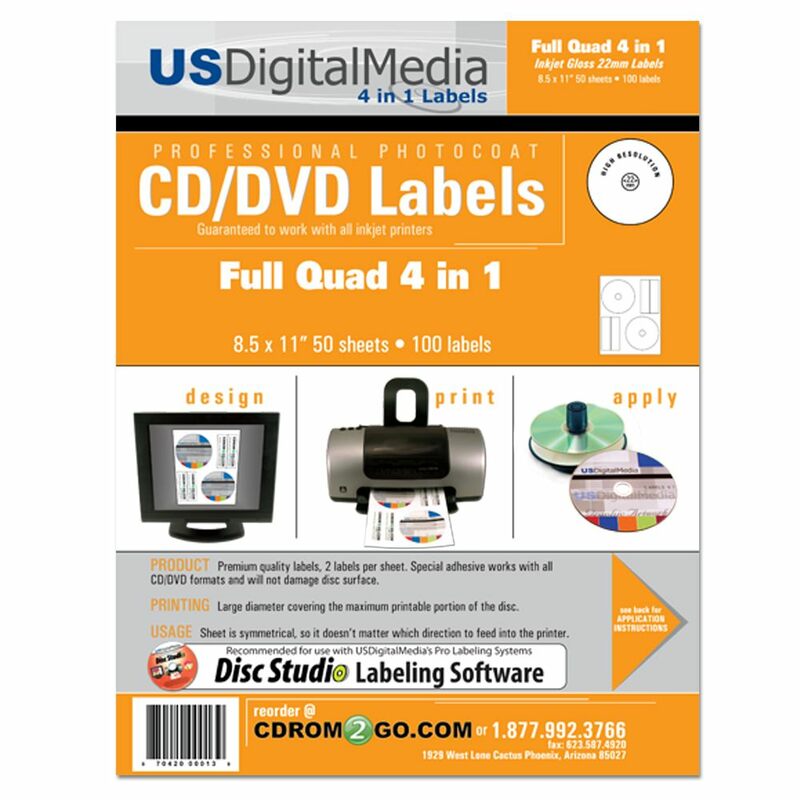 US Digital Media Premium CD / DVD labels for 4 in 1 applicator. Features a high quality printing surface for creating great looking prints using any compatible printer. Matte finish is compatible with most laser and inkjet printers. 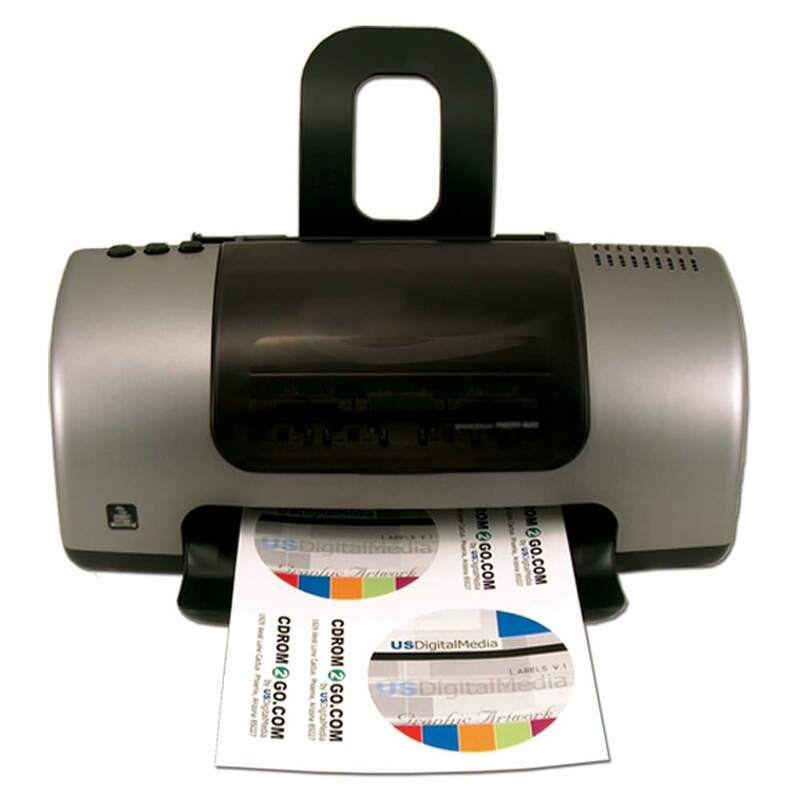 Inkjet gloss finish is inkjet printer compatible only. Laser gloss finish is laser printer compatible only. 22 mm hole allows you to print up to the center hole. 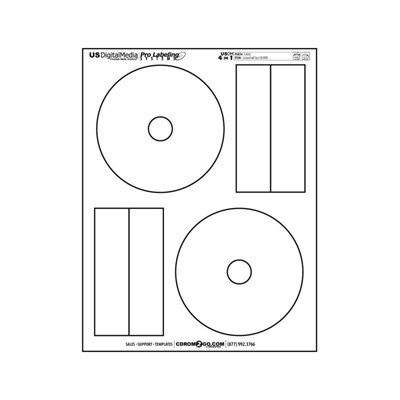 For full size discs.